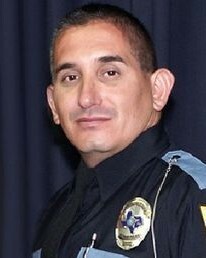 Patrolman David Ortiz succumbed to injuries sustained four days earlier when his police motorcycle was intentionally struck from behind at the intersection of Lee Trevino Drive and Vista Del Sol Drive. The impact pushed his motorcycle into the vehicle in front of him, and became trapped underneath one of the vehicles involved in the crash. He was able to be pulled from underneath the vehicle and was transported to a local hospital where he succumbed to his injuries. The driver of the vehicle who struck him was under the influence of heroin and xanax. 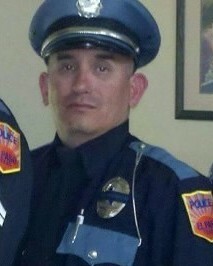 Witnessed testified that the man intentionally switched lanes at a high rate of speed before striking Patrolman Ortiz. The subject, a known gang member, fled the scene on foot but was later apprehended. In January 2017 he plead guilty to manslaughter and was sentenced to 40 years in prison. 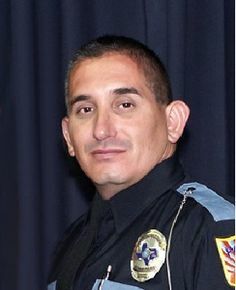 Patrolman Ortiz had served with the El Paso Police Department for nine years and was assigned to the Pebble Hills Region Command. 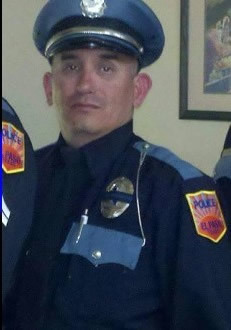 Patrolman Ortiz is survived by his mother. Rest well my brother. Your memory will always be alive in the hearts of your loved ones. Thank you for your service.